Bitwala is your bridge to the crypto economy. Buy and sell cryptocurrencies directly from your bank account. We are redefining how cryptocurrency trading should be. 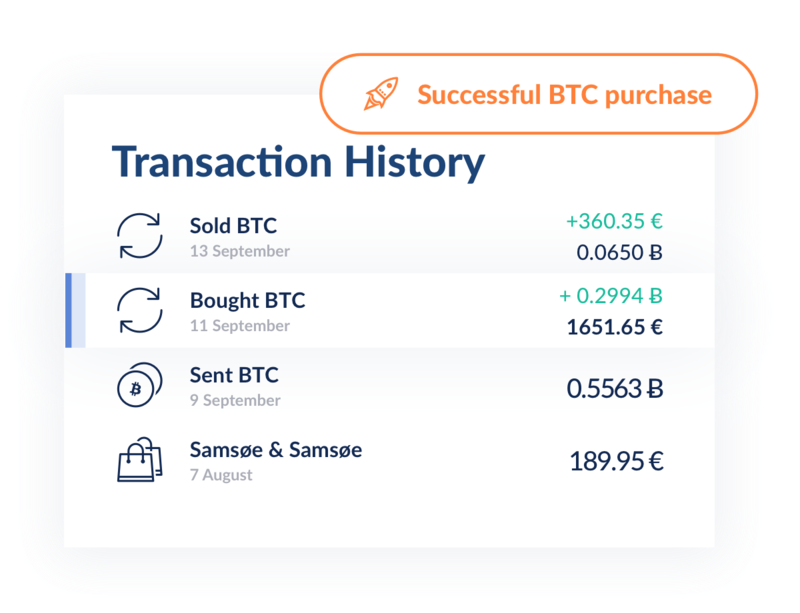 Buy and sell bitcoin up to €15,000 per month with a 1% flat fee and see the money on your online bank account within one hour*. What’s blockchain banking without a wallet that ticks all the boxes? Get started with an easy-to-use wallet that puts your privacy and security first. 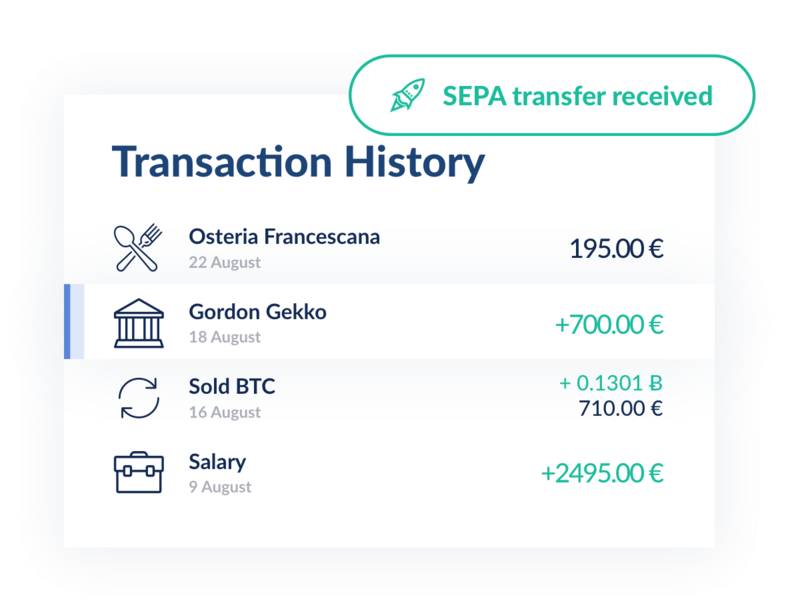 Meet the first account that combines everyday banking features with ones built for the crypto economy. With just a few clicks you can set up direct debits, make international payments and track your expenses over time. 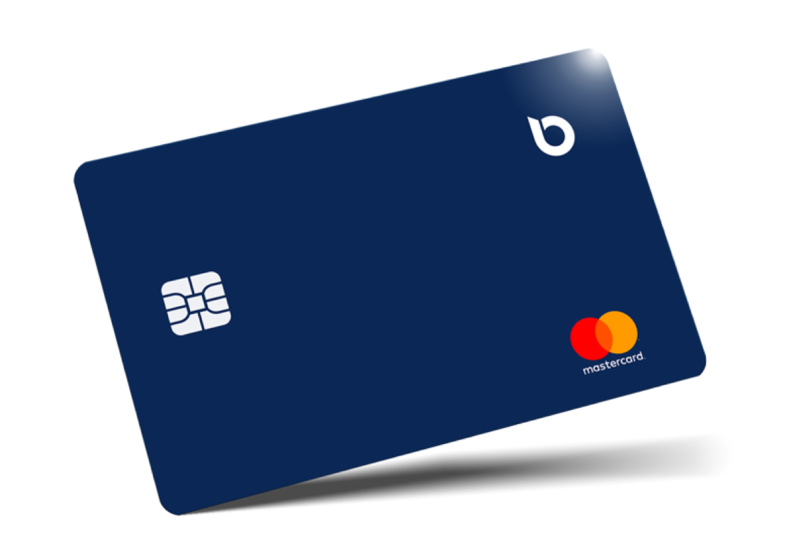 The contactless Bitwala debit card is the perfect companion to your bank account. 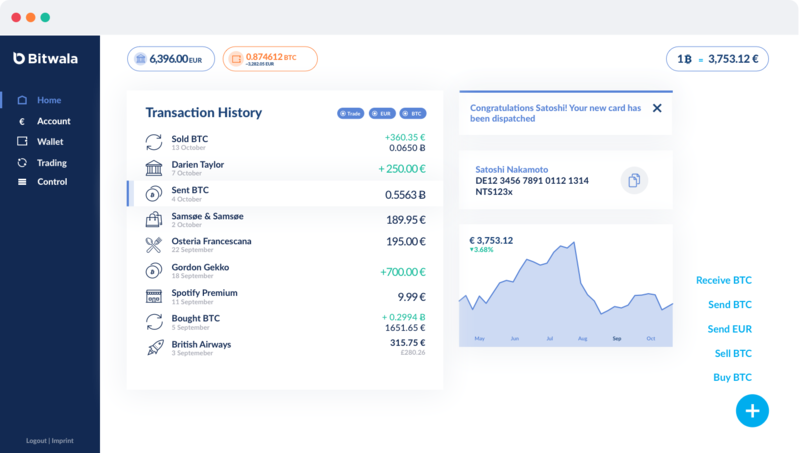 Instantly exchange your cryptocurrency balance into Euro and spend in store, online, or withdraw your funds at any ATM worldwide. Deposits up to €100,000 are protected by the German Deposit Guarantee Scheme (DGS). Our HD (Hierarchical Deterministic) wallets offer a much more simplified backup, without compromising privacy. Our systems are subject to periodical checking to meet the high standards of the German banking sector. We want to empower people to exchange value like they exchange ideas. Globally, instantly & at the lowest possible cost. The best way to get your hard earned money very fast out and back into the banking system is the new @bitwala bank account. What a great product. Today, I opened my @bitwala bank account. You can store and spend your #cryptocurrencies on a fully regulated German bank account. Massive step to mass-adoption! I just opened my @bitwala bank account which includes a #bitcoin wallet 🥳 and I already ordered my #bitwala debit card to spend #btc on the go 🎉 you can also trade, buy and sell bitcoin. Great features on top of a licensed, german banking account! Thanks for the awesome work!